KMPM was founded in 2007 and since our inception, we have continued to develop, grow and adapt in an ever-fluctuating market place. Starting off with 150 properties on our books, we are proud of where we are today – 11 years later – with 900 rented properties and 42 block management companies. Our reliable, experienced and client-focused approach to property management has allowed us to build lasting, long term relationships with both property owners and tenants. If you are a TENANT looking for that suitable home to rent, look no further. Most importantly, our services don’t end with the signing of a lease. It is just the beginning – with continued communication, as well as emergency phone numbers and service – KMPM are with you throughout your entire lease to offer you a first-rate, hassle-free rental experience. If you are an OWNER or INVESTOR looking for a Letting & Management Company, we are dedicated to providing you with the expertise and personal attention that you and your property deserve. Our services are focused on securing a quality, dependable tenant, collecting your rent on time and keeping your property in excellent condition. If you are a DIRECTOR or SHAREHOLDER in a management company in need of a licensed and highly experienced Managing Agent who will help you maximise and increase the value of your investment, with KMPM, you have come to the right place. We have the knowledge and expertise to offer you first-rate advice on all the complex matters such as company law, insurance, fire legislation and the MUD act while at the same time ensuring that residents are living in a secure, safe and well maintained development. KMPM is a property management company that deals with both residential lettings and block management in Limerick and surrounding environs. With over 40 years’ experience, we provide our clients with an efficient and professional property management service performed to the highest standards. 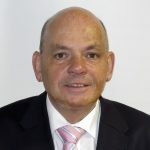 Kersten is the Managing Director of KMPM and has been involved in Property Management for the last 4 decades. He is a member and past President of The Society of Chartered Surveyors Ireland and The Royal Institute of Chartered Surveyors. Kersten heads up the Lettings & Property Management Division of KMPM which currently manages over 900 properties in Limerick City and suburbs. As a consequence of his experience in the industry – particularly in the private residential sector – he is fully conversant with the day to day challenges that face the sector, particularly in the area of legislative changes in Tenancy Law. Susanne is a Director of KMPM and is a member of the Institute of Chartered Certified Accountants and an Associate Member of The Society of Chartered Surveyors Ireland and The Royal Institute of Chartered Surveyors. 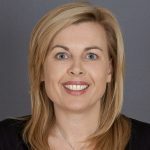 She had sixteen years’ experience working as a Financial Controller and Company Secretary to both Irish and Multinational companies before co-founding KMPM with Kersten in 2007. Susanne heads up the Block Management Division of the business that acts as Managing Agents for 42 Block Management Companies. Susanne’s education and professional experience makes her highly qualified to advise on all financial aspects of block management, as well as on all areas of the MUD Act, Company Law and Fire Legislation. At KMPM, we value education and professionalism, which is demonstrated both by the type of highly qualified people we hire and by providing on-going training and educational opportunities to our dedicated team members. Every year we ensure that our team members’ skill set and knowledge levels are kept up-to-date by attending courses in both Dublin and London. We at KMPM consider this essential for staying ahead of all industry-related legislation and developments.